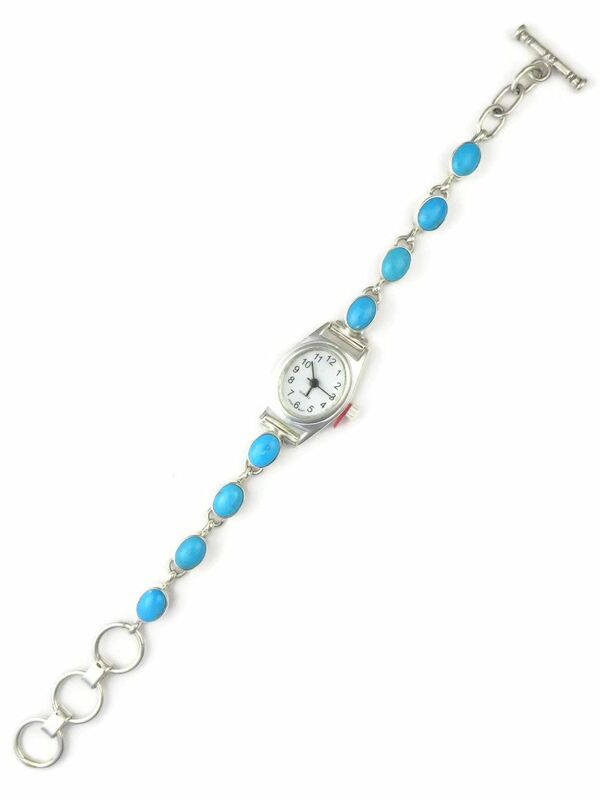 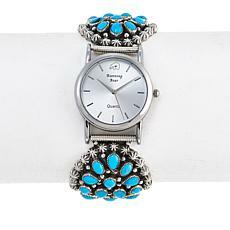 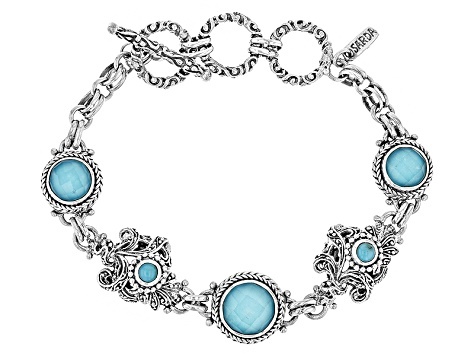 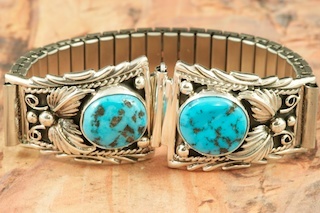 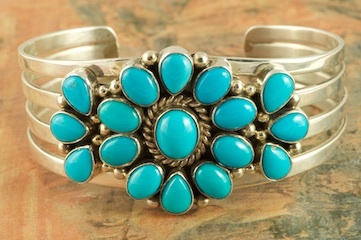 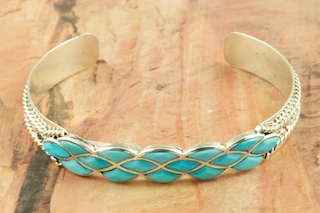 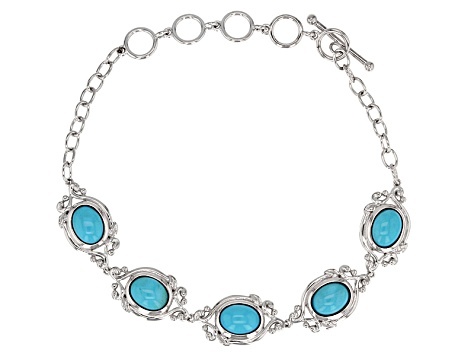 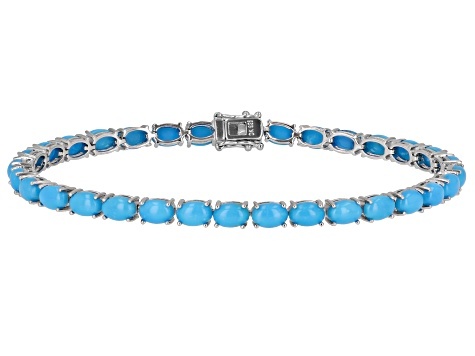 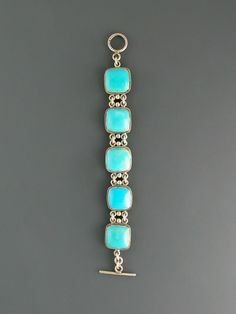 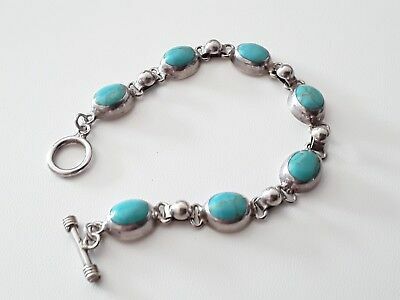 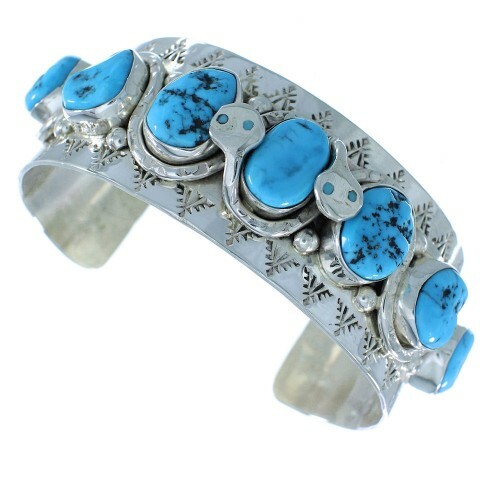 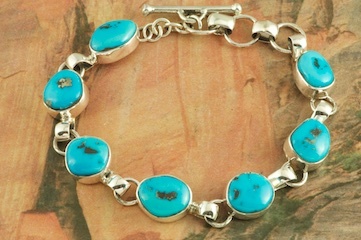 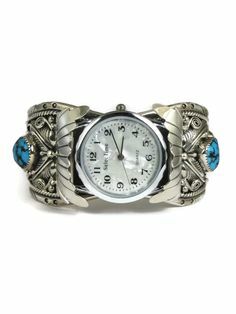 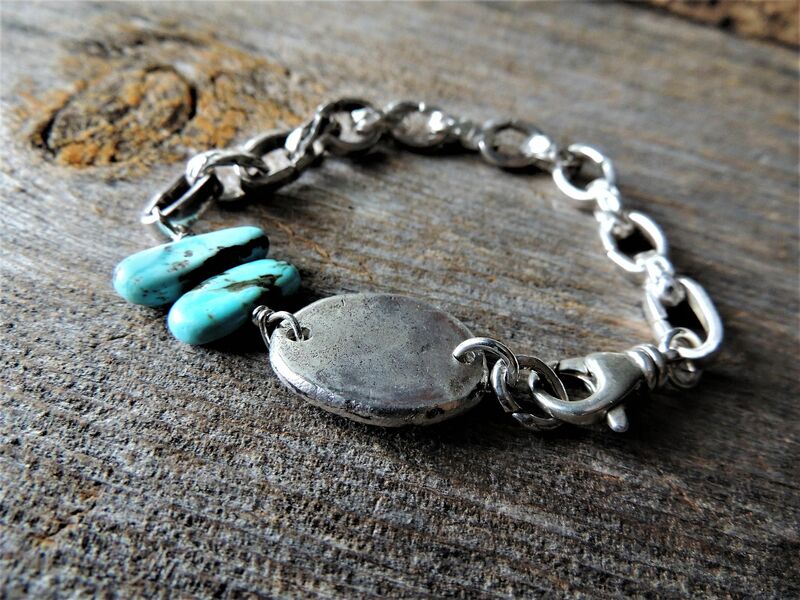 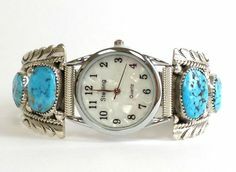 Find a beautiful and genuine turquoise watch bracelet for men at Southwest Silver Gallery today! 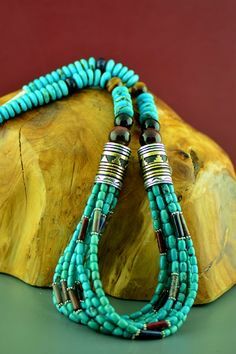 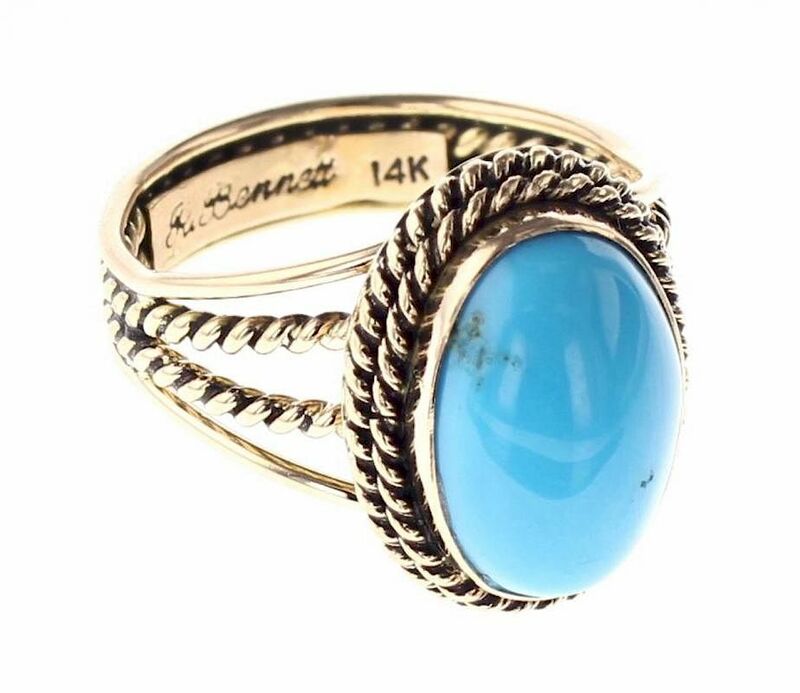 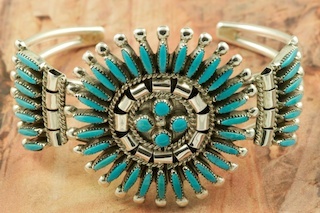 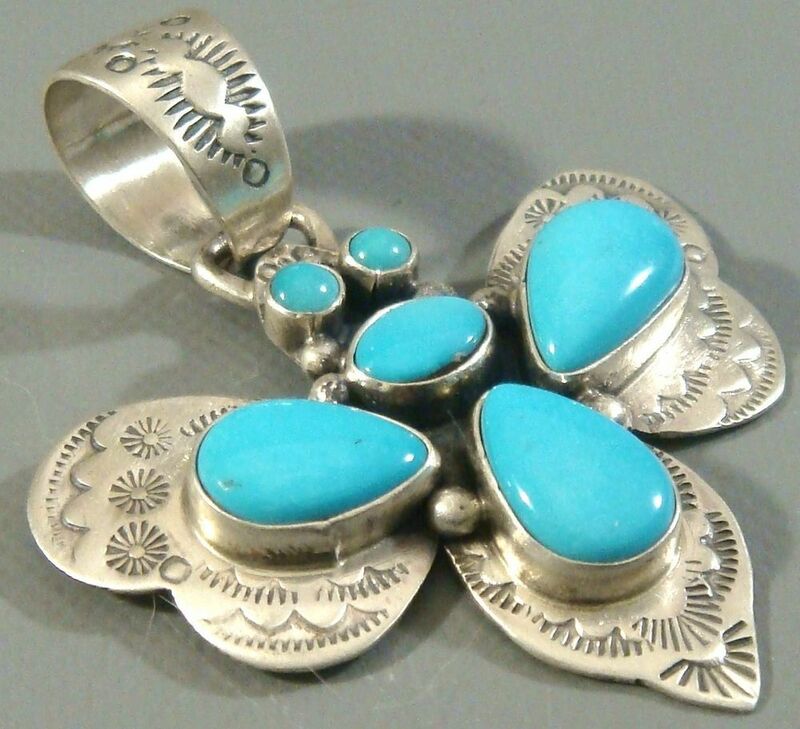 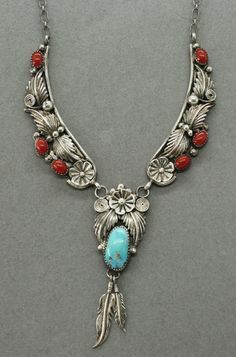 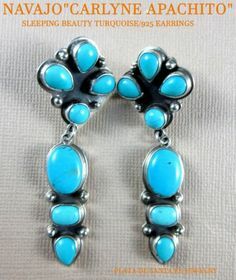 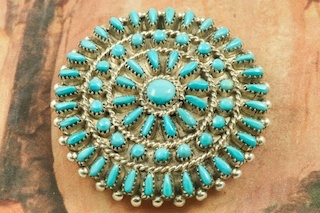 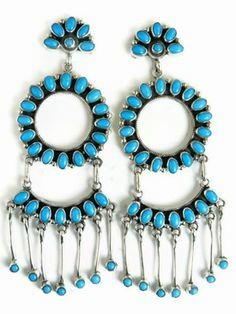 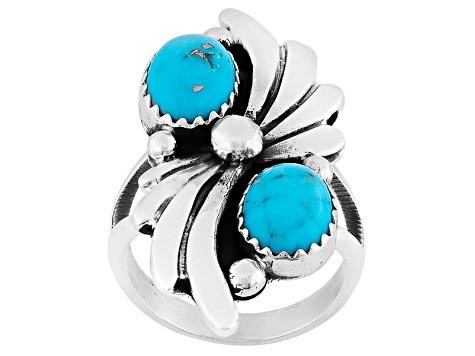 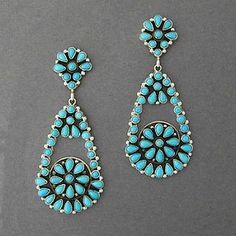 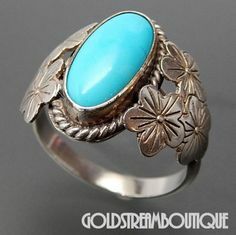 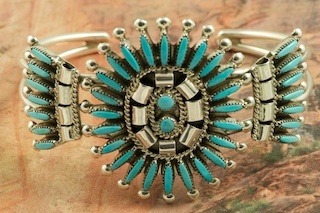 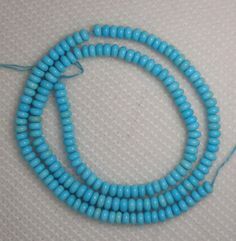 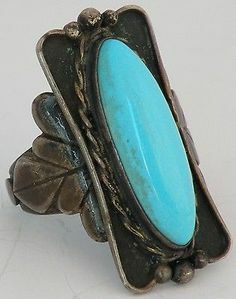 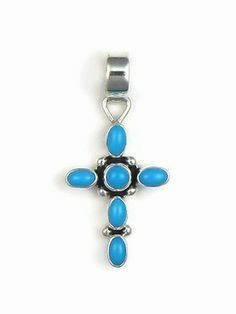 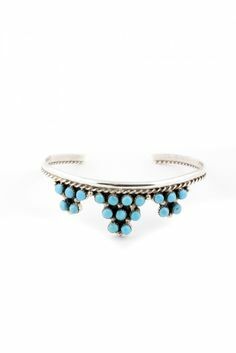 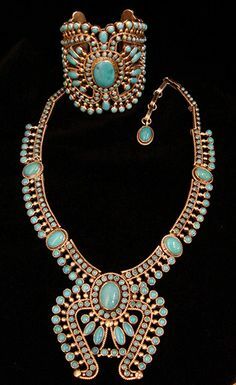 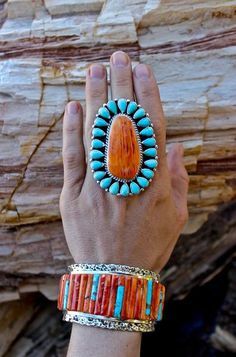 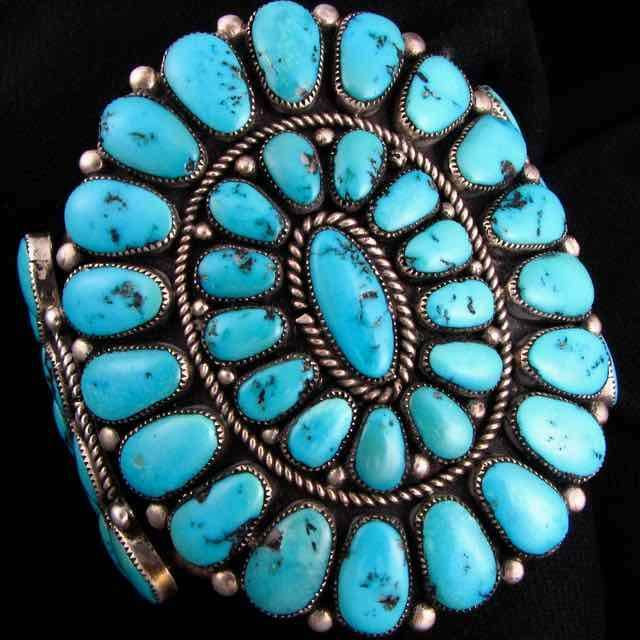 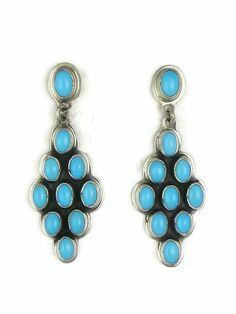 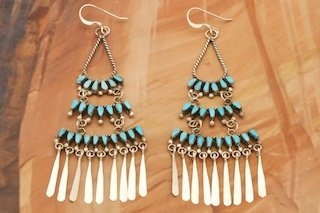 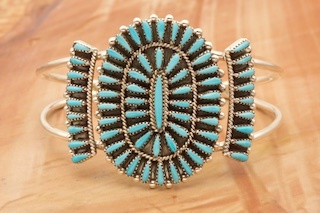 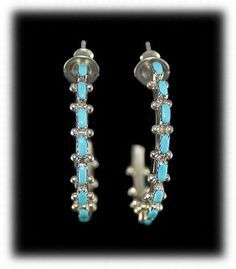 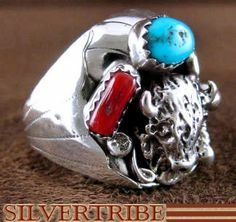 We offer the best Handmade Native American Indian Jewelry, also Navajo and Turquoise jewelry. 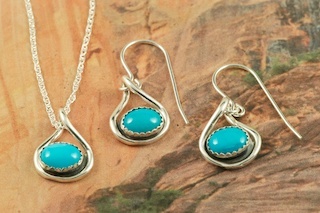 Our handmade American Indian jewelry is Sterling Silver. 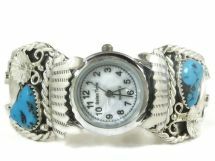 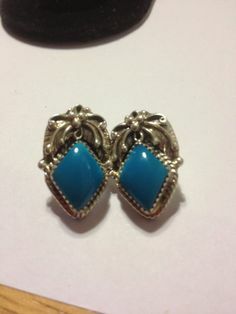 Genuine Sleeping Beauty Turquoise set in Sterling Silver Watch Tips. 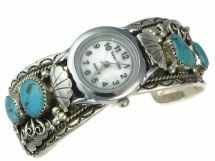 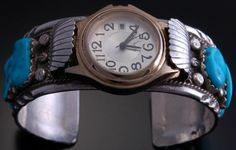 Ladies quartz watch with expandable band. 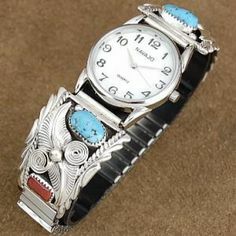 Created by Navajo Artist Thom. 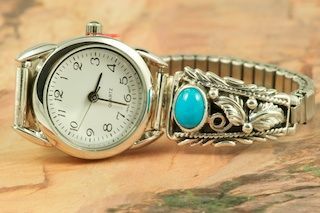 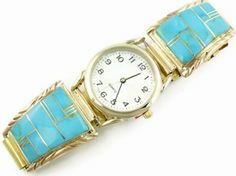 Want turquoise watches? 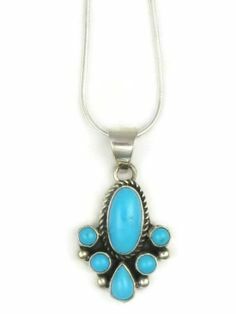 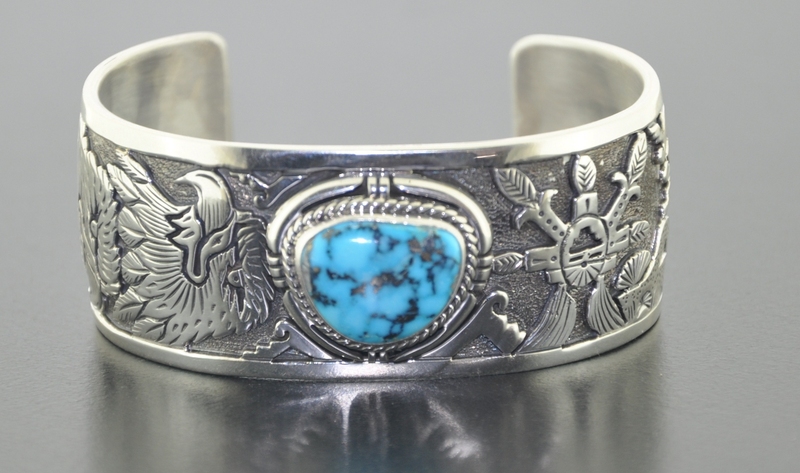 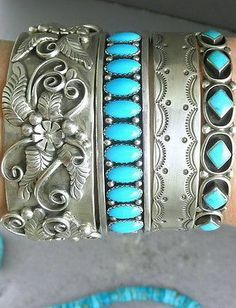 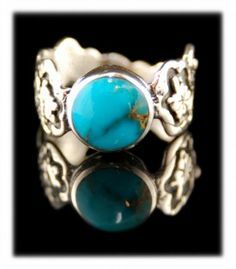 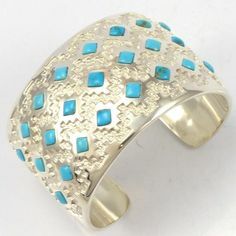 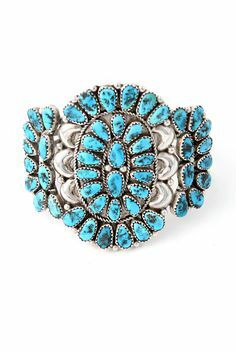 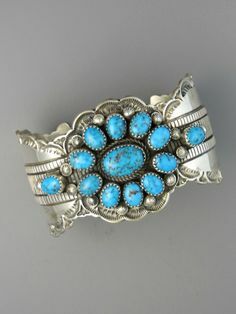 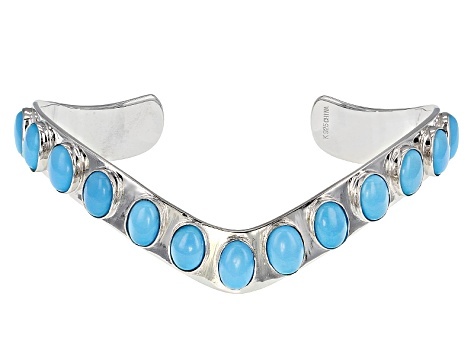 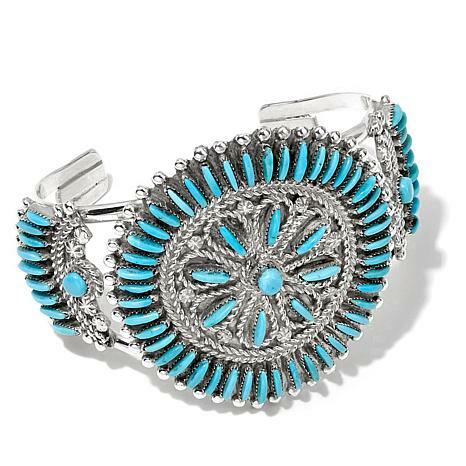 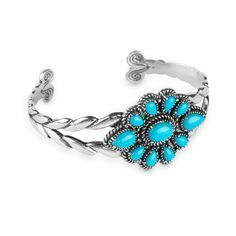 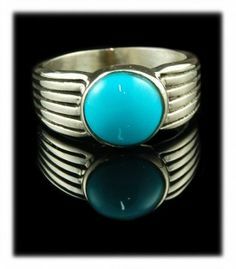 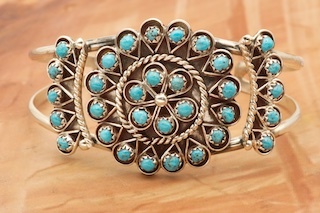 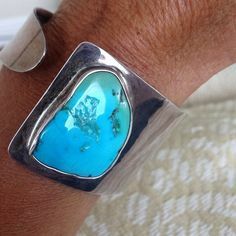 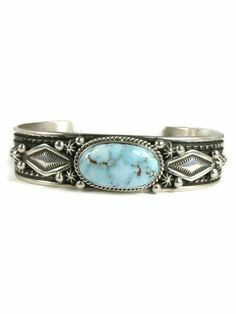 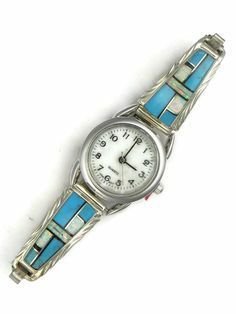 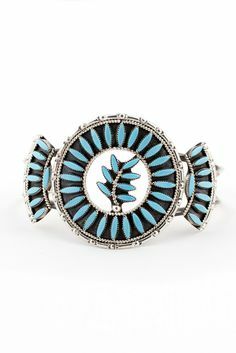 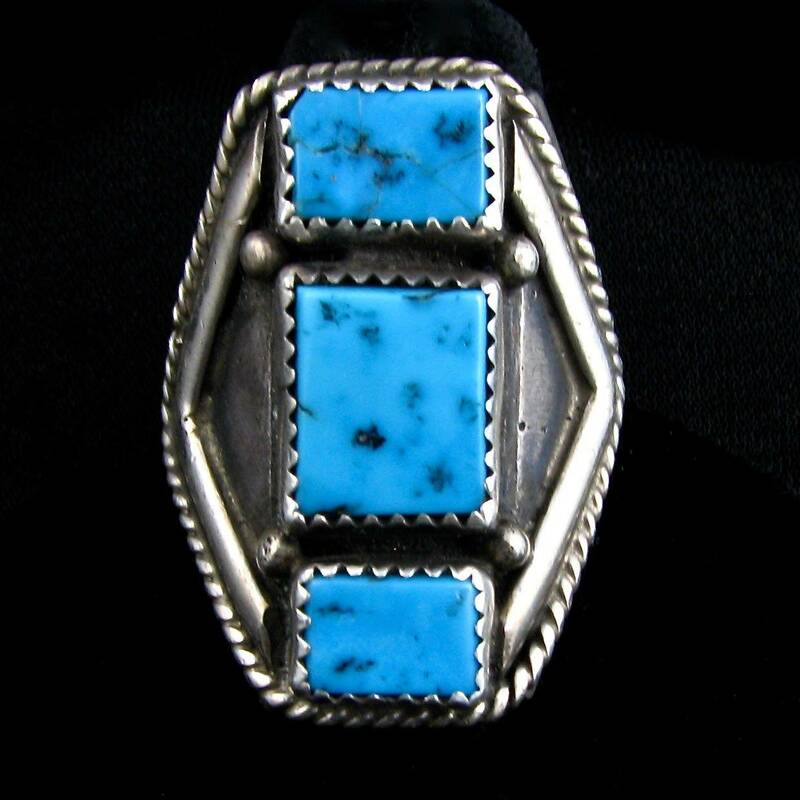 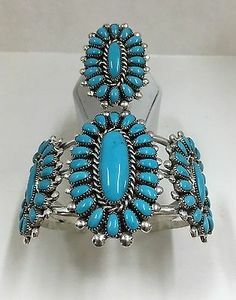 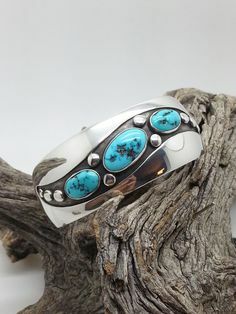 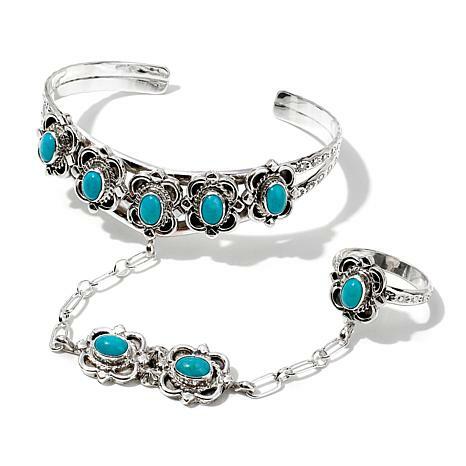 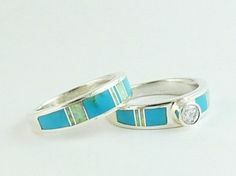 Shop the Southwest Silver Gallery's selection of turquoise and silver watch bands made by Navajo, Zuni and Hopi Indian artists.